Former UK spy Christopher Steele admitted in a London court that he was hired to help Hillary Clinton contest the results of the 2016 election in case Trump won, according to the Washington Times. Steele assembled an anti-Trump "dossier" of opposition research investigative firm Fusion GPS, which was in turn hired by DNC law firm Perkins Coie LLP. The document used "a senior Russian Foreign Ministry figure," and "a former top level intelligence officer still active in the Kremlin," according to Vanity Fair. In other words, Hillary Clinton - through Steele and other intermediaries - was working with Russians against Donald Trump. During the election, Clinton told voters that Donald Trump would "threaten democracy" if he didn't promise to accept the results of the 2016 election - after Trump suggested he might not accept the results of a "rigged" contest. Meanwhile Clinton was open to challenging the election more than ten months after her historic loss - if only there were a way. "There are scholars, academics, who have arguments that it would be, but I don’t think they’re on strong ground. But people are making those arguments. I just don’t think we have a mechanism," Clinton told NPR in September 2017. 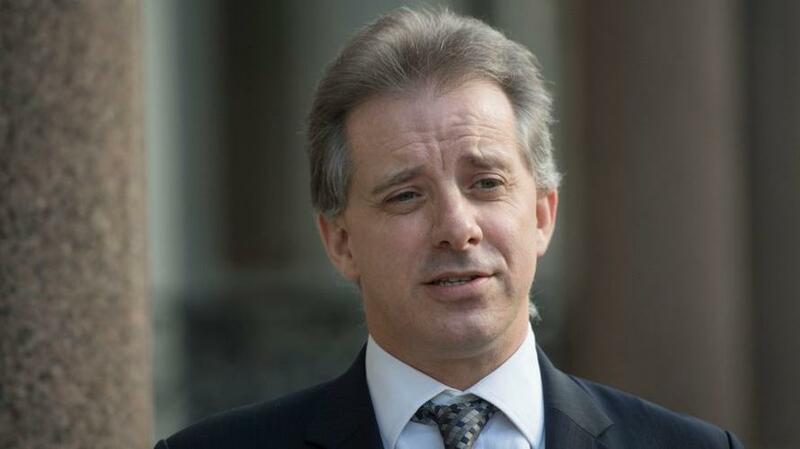 The dossier Steele produced was used as the basis for an FBI FISA surveillance warrant application to spy on members of the Trump campaign. Notably, the agency never told the FISA court that the dossier their application hinged on was paid for by the DNC and Clinton's campaign, although it did indicate that it was opposition research. The mainstream media used still-unverified key claims within the dossier to fuel a conspiracy theory that President Trump conspired with the Russian government to win the 2016 US election. Meanwhile, as we reported earlier Monday, FBI and CIA sources told a Pulitzer Prize-winning Washington Post reporter that they didn't believe a key claim contained in the "Steele Dossier," the document the Obama FBI relied on to obtain a surveillance warrant on a member of the Trump campaign. "We’ve talked to sources at the FBI and the CIA and elsewhere — they don’t believe that ever happened," said Miller during the October event which aired Saturday on C-SPAN. Meanwhile, Trump is still living under the spectre of Russian collusion, while Hillary Clinton actually colluded Russians in her plan to challenge the 2016 election.